I am very passionate about my sauce ! My Italian Grandma and Mom taught me well 🙂 I have been making my own since I was 16 and over the years developed a recipe that is LOVED and CRAVED by many. That recipe included cooking sausage and meatballs in the sauce – and that gives it a very rich flavor. But it also adds calories. So in my quest to keep things lower cal, I’ve been trying a few batches of sauce without meat and this one is really, really good. It comes quite close to my regular recipe ! I’ve added beef bouillon to make up for some of the lost flavor from the meat, I’ve added roasted garlic which gives a great depth of flavor (much different than dropping in raw or sautéed garlic) and I make sure to use tomato paste. Tomato paste is to tomatoes what lemonade concentrate is to lemonade – – it is highly concentrated and adds a different flavor than any other tomato product out there. And finally I add 2 secret ingredients – shhhhhhh ! Fennel and anise seeds add the flavor you would get if you cooked sausage in the sauce. It is the finishing touch that so many sauces are missing. You only get the slightest hint of taste of the seeds in the finished product. But let me tell you, without them, the sauce is just not the same. 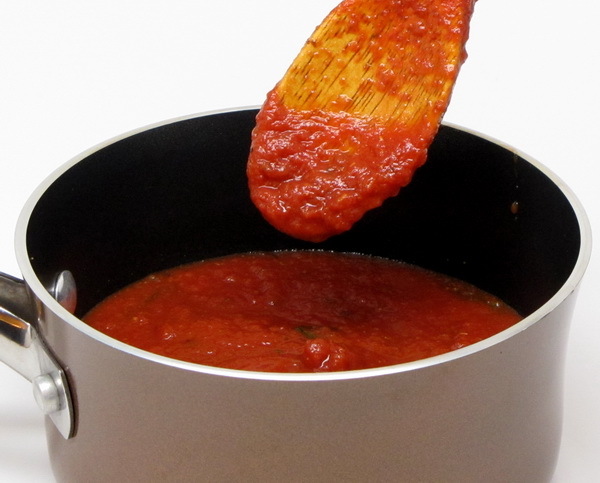 If you’ve never tried sauce before – try !! This one starts from canned products, not raw tomatoes – so it is NOT labor intensive. And even a bad batch of homemade is better than a jar of Ragu 😉 It’s what makes a pasta meal special, so do it up ! Mix all ingredients in a crock pot, cover and cook on low 8-10 hours or high 4-5 hours. You can also put this in a pressure cooker for 20 minutes or simmer stove top for 2-3 hours. The length of time does make a different – the sauce tastes much richer when simmered for hours than a quick sauce (which have their place in some recipes, but don’t equal a traditional slowly simmered sauce). 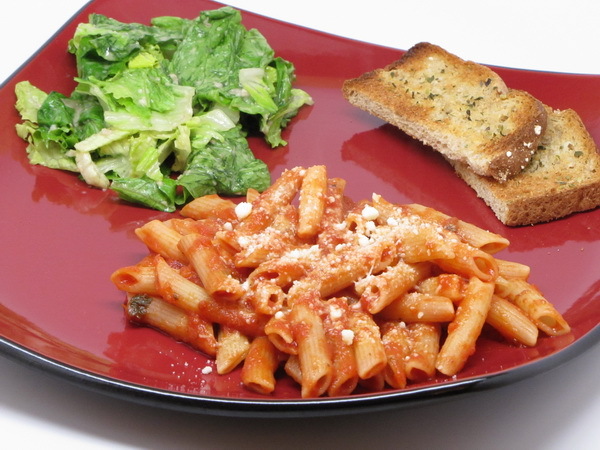 Freeze your extra portions and next time it’s pasta night, just defrost in the frig over night and quickly reheat in a sauce pan.